Welcome to our Estate Issues section. In this section we hope to bring you sound, practical guidance for settling an estate. Here you will find a growing list of legal issues to consider before and after the death. We do not wish to suggest that you do not require a solicitor, nor are we attempting to substitute for sound legal advice. When in doubt, consult with a lawyer on estate matters; in the end, it could save you money! Any honest, credible lawyer will be straightforward and tell you what you need to know. If there are things you can do yourself, or if the estate does not require a solicitor, they will let you know. A good lawyer will not charge you for services you do not need, but can be far less expensive than potentially costly mistakes if you do it all yourself. If you do not have a lawyer, or are unsure of where to turn, please feel free to give us a call. We work with many law firms in town and can make some helpful suggestions. Do I need a Lawyer to Handle Probate? While there is no requirement to use a lawyer, probate is a rather formal procedure. One minor omission, failure to send a copy of the petition, or a missed deadline, can stall the process or expose you to liability. Wills, probate, administrator, social security benefits, veterans benefits, insurance benefits, joint property, estate taxes and other issues may appear overwhelming after the death of a loved one. Sorting and settling all the details may be confusing because many of the terms are unfamiliar. Please feel free to print this document. This guide is not intended to be a substitute for specific individual tax, legal, or estate settlement advice, as certain of the described considerations will not be the same for every estate. Accordingly, where specific advice is necessary or appropriate, consultation with a competent professional is strongly recommended. 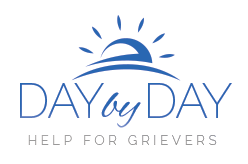 Most of all, keep in mind that while it is important to take care of all of these activities, it’s more important to move slowly at a pace that is comfortable for you during your grieving process.